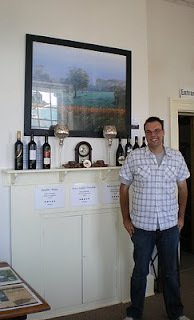 Karra Yerta Wines - Barossa Ranges Ramblings & Reviews: It's Vintage 2010! There's no time to be Lazy. February has suddenly arrived; our grapes are under netting, the wine tankers are on the road in every direction, the winemakers have a look of anxiety in their eyes and lack of sleep becomes the norm for most people in the area. Long days, hard work, harsh weather. Welcome to Vintage 2010! I have been working an average of 14 hour days, 7 days a week, between the newly opened Collective Barossa shop, and at home (running the administration, sales and marketing sectors of Karra Yerta Wines, and trying desperately to still maintain in every way, a house with a husband, two teenage sons, a dog and a large garden currently full of the most delicious organic vegetables and herbs). Life is busy indeed. I never realised until last week just how much I enjoy my own cooking:) It must be my German heritage - the importance of a home-cooked meal after a hard days work is paramount. As exhausted as I am, I have to say every single bead of sweat and every single hour less of sleep has been worth it, and still, the support and encouragement of people has been simply sensational. I have some of the best friends that anyone could ever want as the help and advice given, consistently, has been priceless. Be it with signage, curtains, artwork, marketing, design, paperwork, woodwork, painting, plastering, plumbing, electrical, in fact, anything and everything, it has been totally overwhelming. Sincere thanks to all who have played a part in Collective Barossa being alive, and indeed, kicking. 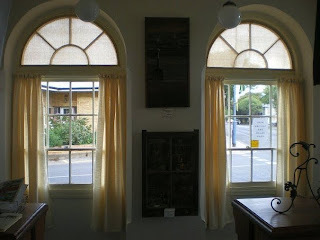 Thanks also to the committee members of the Barossa Valley Archives and Historical Trust who have been incredibly grateful since watching their lovely old Museum room be given a total revamp and indeed, a new lease of life. 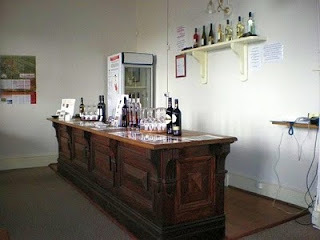 It took us a while but we got there, and the feedback from wine buyers and visitors to the Museum has been terrific. It is certainly becoming a special attraction in the Barossa in its own right and I feel incredibly blessed to be a part of it. 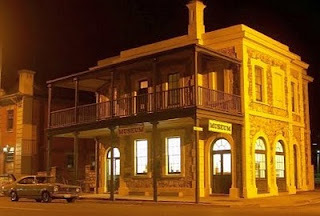 Being based in such a lovely and historical old building is probably the third best work environment I have ever had in my life (after my home in the beautiful Ranges, and Collingrove Homestead) and it certainly does help me to get through the long days. Our wines, along with those of the other Collective wineries have been exceptionally well received and the feedback from both our own customers and the visitors to the Museum has been incredibly inspiring. Visitors are enjoying being able to meet the winemakers (a little difficult at the moment as we are in the midst of vintage) and knowing the different stories of the families behind the brands, most of which they had never heard of before . The shop itself is looking fabulous and was enhanced even further yesterday with a special visit from my good friend, James Hook (who runs the Lazy Ballerina winery at McLaren Vale). James delivered three of his stunning photos to display in the Collective Barossa shop. James and I are hoping to work together in the future to promote both the Barossa and the McLaren Vale areas as after all, variety is the spice of life! Finally, here are the latest photos of the shop.